Against The Grain Brewery, Louisville’s first brewer owned and operated brewery, will increase production by over 400 percent in 2015, with the expansion of a new production/packaging facility, also located in Louisville, Ky.
Against The Grain Brewery and Smokehouse was established by brewers Sam J Cruz, Jerry Gnagy, Adam Watson and restaurateur Andrew Ott, in September 2011. 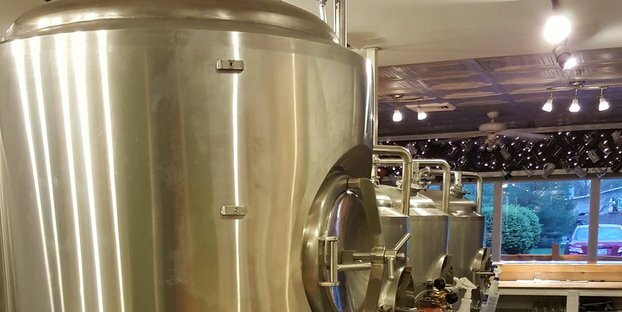 This marks the second expansion for the brewery, the first was unannounced and included the annexation of the old Park Place restaurant at Slugger Field for the installation of more product tanks and the addition of capacity through contract production at Pub Dog Brewery in Westminster, Md. This announced expansion starts with the acquisition of a 25,000-square-foot building in the Shippingport/Portland neighborhood of Louisville. The addition of this brewing facility will include a new three-vessel x 30 barrel (bbl) brewhouse manufactured by W.M. 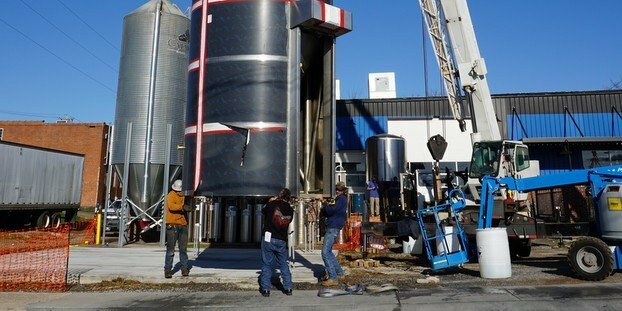 Sprinkman, and an unspecified number of 30- and 60-bbl fermenters/brite beer tanks, allowing for an initial annual production of 6,500 bbls of beer per year. Initially the expansion will focus on production, however Against the Grain also plans to develop an area to include a tasting room and retail space. “We have chosen to work with Sprinkman as we share core values relating to a commitment to quality and the fact that all of the materials and fabrication will be done in the USA. As much as we are committed to Louisville and supporting the quality of our local economy, we must also carry this commitment when choosing our global suppliers,” the company stated in its press announcement. Additional equipment acquisitions include a centrifuge and packaging lines for kegging, as well as bottling & canning Against the Grain brands. The new space will also allow the company’s barrel-aging program to grow about 10 times what it currently is. It should come as no surprise that Against the Grain must expand. Current distribution allows for access to wholesale in 38 contiguous states nationally, as well as a number of countries in western Europe. “Currently the demand for our beer is exceeding our ability to produce at the Slugger location, so we feel like the time is right and the location is ideal for an additional brewery,” the company stated. The brewery’s current location is producing around 1,500 bbls annually, primarily servicing the pub located in the stadium. The new facility will increase production to service draft and bottle sales in Louisville and the entire state by 150 percent, as well as increasing national and global sales by 250 percent. Allen Stebelton liked this on Facebook.